Prof. Wang studies comparative and international political economy, U.S.-East Asian relations, and East Asia and China studies. He has published six books (two co-edited) in two languages, including Organization through Division and Exclusion: China’s Hukou System (Stanford University Press, 2005) and China Rising: Power and Motivation in Chinese Foreign Policy (Rowman & Littlefield, 2005). He has also published over sixty book chapters, journal articles, newspaper essays, and reports in four languages. 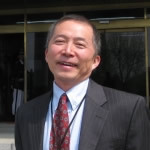 Before coming to Georgia Tech, Prof. Wang taught at the United States Military Academy (West Point). He has been an adjunct/visiting professor or a visiting fellow of eight universities in China, France, Italy, Japan, Korea, and Singapore. Prof. Wang is a member of the Council on Foreign Relations, a research associate of three research centers in New Zealand and the U.S., a recipient of numerous grants and awards including a CFR-Hitachi International Affairs Fellowship and a Fulbright Professorship, and served as an Olympic Envoy of the 1996 Centennial Olympic Games.